Definition: Crossing of a cheque is nothing but instructing the banker to pay the specified sum through the banker only, i.e. the amount on the cheque has to be deposited directly to the bank account of the payee. Hence, it is not instantly encashed by the holder presenting the cheque at the bank counter. If any cheque contains such an instruction, it is called a crossed cheque. 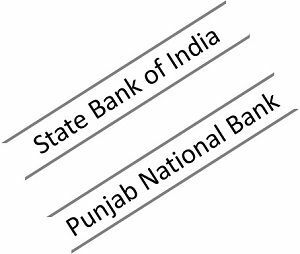 The crossing of a cheque is done by making two transverse parallel lines at the top left corner across the face of the cheque. 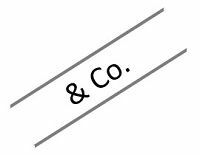 General Crossing: When across the face of a cheque two transverse parallel lines are drawn at the top left corner, along with the words & Co., between the two lines, with or without using the words not negotiable. When a cheque is crossed in this way, it is called a general crossing. 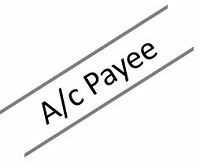 Restrictive Crossing: When in between the two transverse parallel lines, the words ‘A/c payee’ is written across the face of the cheque, then such a crossing is called restrictive crossing or account payee crossing. In this case, the cheque can be credited to the account of the stated person only, making it a non-negotiable instrument. 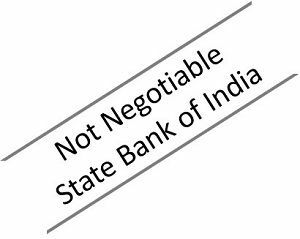 Special Crossing: A cheque in which the name of the banker is written, across the face of the cheque in between the two transverse parallel lines, with or without using the word ‘not negotiable’. This type of crossing is called a special crossing. In a special crossing, the paying banker will pay the sum only to the banker whose name is stated in the cheque or to his agent. Hence, the cheque will be honoured only when the bank mentioned in the crossing orders the same. Not Negotiable Crossing: When the words not negotiable is mentioned in between the two transverse parallel lines, indicating that the cheque can be transferred but the transferee will not be able to have a better title to the cheque. Double Crossing: Double crossing is when a bank to whom the cheque crossed specially, further submits the same to another bank, for the purpose of collection as its agent, in this situation the second crossing should indicate that it is serving as an agent of the prior banker, to whom the cheque was specially crossed. The crossing of a cheque is done to ensure the safety of payment. It is a well-known mechanism used to protect the parties to the cheque, by making sure that the payment is made to the right payee. Hence, it reduces fraud and wrong payments, as well as it protects the instrument from getting stolen or encashed by any unscrupulous individual.